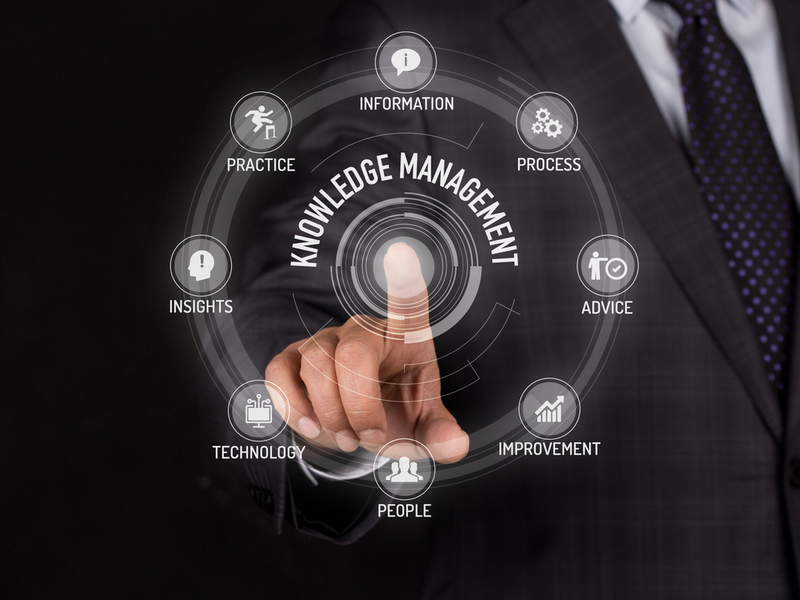 Knowledge management systems have been around for a long time, though until now their impact has been largely overlooked, or underestimated, in many working environments. Cumbersome tools, challenges around ensuring data and metadata relevancy, and inefficient processes didn’t do much in promoting its time-saving, efficiency-accelerating, and accuracy-enhancing perks to staff already up to their eyes with never-ending work lists. Nowhere, perhaps, is this more stark than in the legal market, where the full potential of what an internal knowledge management system could provide for both legal staff and clients fell into the shadows simply because it required time and effort that legal staff could not afford to give. Reflecting now, with the gift of hindsight, it is easy to see that these limitations existed because the tools available did not bend to the most pressing needs of those using them – they did not make the jobs of lawyers, attorneys, and legal staff easier or save them time, but rather did the opposite. Fast-forward a few years and technology is making up for lost time. Big advances in the tools now available, and the near endless possibilities of what those tools can do for knowledge management at a time when augmented intelligence is really making its mark on legal research, is making people giddy in anticipation of what a game-changer this could be for the legal market in particular.All of a sudden, the benefits of knowledge management systems have been cast into the limelight and its potential looks set to reach dizzying heights. More than documenting, storing, and sharing expert knowledge of individuals so that it is easily accessible to everyone, the core focus of knowledge management is shifting. Now, the emphasis is firmly set on how it can support users in improving the way they work and serve their clients by streamlining processes, increasing efficiency, and improving accuracy and quality. Now, more than ever before, the legal sector needs more efficient processes to leverage their knowledge and supply that knowledge in the most accurate and relevant way to clients, who not only expect, but are beginning to demand, such services. To do this effectively and provide a clear competitive edge, law firms need to implement enhanced technology tools that prioritize the users’ needs through integrated design, machine-generated hyperlinks and metadata, automated search, content enrichment, and personalization to make search results more relevant to clients’ needs and queries. In other words, the key to enabling knowledge management to flourish, particularly in the legal market, lies in making life easier for the user. That means adopting user-focused tools, design, and technology and making them central, not second fiddle, to the knowledge management system in place. Integrated research tools and personalization will play a fundamental role, using search history to generate relevant content and making the content you need appear on your screen before you know you even need it. Above all else, we can’t afford to forget that content has grown – and continues to grow – at such a fast rate that these tools are no longer a nice addition for a lawyer or accountant, but a mandatory one. Machine-generated and automated content holds the power to completely transform the face not only of knowledge management, but legal services more generally. Automated documents will enable clients to get the same quality of work generated in a couple of minutes that previously would have cost them several hours’ worth of their lawyer’s time; but that doesn’t mean to say that the role of the lawyer will suddenly become obsolete – quite the opposite in fact. All these advances in technology will give lawyers and legal professionals the time they didn’t previously have to dedicate to work that can’t be automated. Perhaps in the process they will find themselves leveraging a whole new set of legal services that it will take technology a few more years to catch up with! Watch this space…it’s certainly an interesting one.